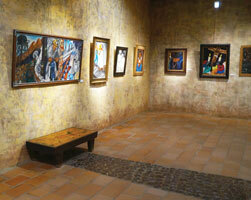 The DeGrazia Gallery in the Sun features six permanent collections of original artwork. In addition, the gallery rotates several smaller collections that are pulled from the archives. To see what exhibits are currently showing click here. Also featured, the Little Gallery showcases up and coming artists from November through March.